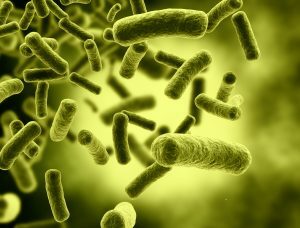 Enlarged image of bacteria cells. For years, health experts have been warning that unnecessary use of antibiotics leads to the rise of drug-resistant bacteria that are increasingly hard to kill. Now, in its first global survey of the resistance problem, the World Health Organization (WHO) has announced that antibiotic-resistant bacteria have spread to every part of the world and might lead to a future where minor infections could prove fatal. The WHO has found very high rates of drug-resistant E. coli bacteria, which causes meningitis and infections of the skin, blood and kidneys. In many countries, treatment for E. coli is ineffective in more than half of the patients. The agency is also worried about drug-resistant bacteria responsible for pneumonia and gonorrhea. Never take antibiotics without a prescription. And if you have some left over from the last time you were sick, be sure you throw them away. They can do more harm than good. Also, antibiotics may not be the answer for the symptoms you are currently experiencing. Be sure to speak with one of our pharmacists at Med-Fast Pharmacy if you have any questions regarding antibiotics. We can advise you on their proper use.